Photographs from my travel around the state of North Carolina. Workers built Vineland Station in 1903 one mile south of the Columbus County courthouse to serve Whiteville and Vineland. Vineland was never an incorporated town. 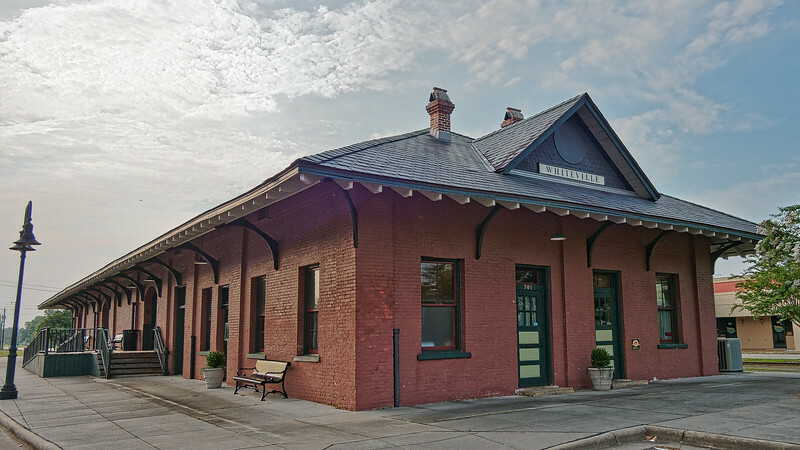 The Whiteville depot was one of the first brick depots built in eastern North Carolina. It also has a slate roof, some of which is still in use on the restored building.